Embrace to launch Safe HelpRoom tool in spring 2019! 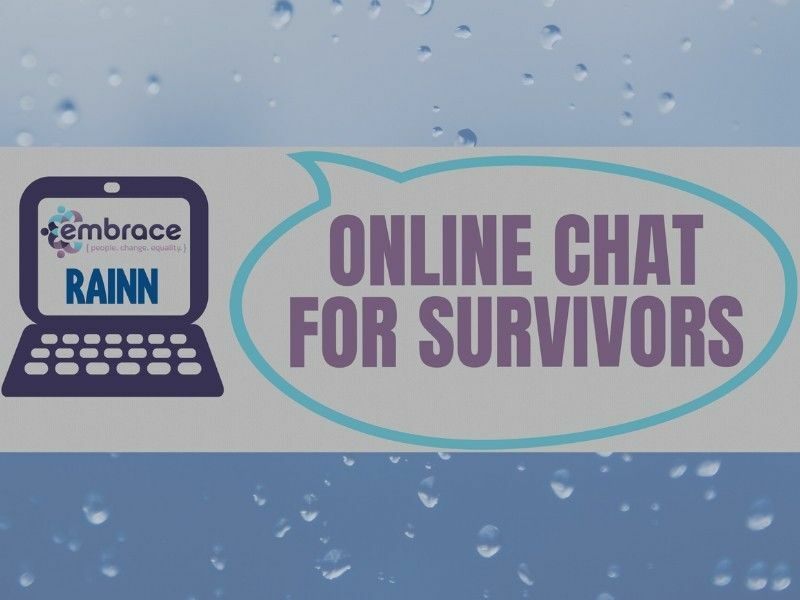 This fall, Embrace was contacted by the largest anti-sexual violence organization in the country, RAINN, who was awarded a new grant through the Office of Victims of Crime, and asked if Embrace would be interested in participating in the grant project that allows online group chat technology to be used across Embrace's rural service area. Embrace accepted the offer to launch the Safe HelpRoom tool in spring 2019! Using the provided support group technology, Embrace staff will be able to facilitate online, completely anonymous support groups. A general support group will be offered for survivors who may not feel ready to discuss their experiences in-person, as well as an evidence-based support group specific to survivors working to achieve safety from both trauma and addiction. So many times we hear that survivors would like to go to a support group, but they don't want people to see them and tell others in the community. This opportunity eliminates that barrier. The group is facilitated and moderated by trained advocates and is safe for everyone. There are two groups offered on different days and times. Survivors can participate in one or both! For questions or more information, contact Embrace at 715-635-5245.